It's September. And I swear, South Carolina is hotter now than in July. Yesterday, as I sprinted from the car to the grocery store through a downpour, I thought, ”Well, at least it will be a little cooler when this nasty weather lets up.” Instead, as I exited Publix, I hit a wall of heat and humidity so dense that I could barely breathe. Seriously. I gasped for breath while loading bags into the car. And my hair looked lovely from the rain and humidity. Today isn't much better. Our windows sport rivulets of water, the clash between outside heat and inside AC. So, although it's hard to get excited about planting a fall garden in a sauna, I'm forging ahead. Seeds that I planted last week are sprouting, but I'm a bit concerned about the lettuce. While I placed the trays of seeds on a shady greenhouse shelf, I fear that the intense heat cooked the seeds. I've moved the trays out of the greenhouse and plan to watch them for a few days, because lettuce sprouts pretty quickly. Otherwise, it's back to the trays to reseed. All ten varieties. , or if you decide to purchase transplants or direct seed, you need a plan. How will you organize your garden? And how will you prevent pests from snacking on your crops? Why, you'll embrace companion planting, of course. Many people think of organic gardening as simply the avoidance of chemicals—or the use of OMRI approved chemicals—in the garden. However, companion planting is a main premise in organic gardening. Companion planting involves growing different species of plants together to benefit one or both. Rather than planting a monoculture, mixed plantings attract beneficial insects, deter pests, and boost soil health to produce better harvests. For instance, aromatic herbs like rosemary mask the scent of a crop from pests. Some plants, like mint, produce odors that deter or confuse pests. Other plants, like parsley, serve as a trap crop, drawing insects away from the main crop. Strategic companion planting can aid in pollination, with plants providing food to sustain beneficial insects. Companion plants can also create a habitat for predatory insects that feed on pests. I often use companion planting in the spring and summer gardens, and probably one of the most widely-known pairings is basil grown with tomatoes. This summer, though, I tried a new companion planting: icicle radishes planted among squash to combat squash vine borers. After losing all of the squash plants last year, I was skeptical. Guess what? I'm still harvesting squash. Needless to say, I'm a believer in companion planting! Based on the summer success, I'm planning our fall gardens to include companions. Cool weather crops can benefit from strategic, well-designed companion plantings, particularly as many of the cool crops belong to the same family: brassica. And cabbage worms love brassica. Beets Onions, kohlrabi, lettuce, cabbage, garlic, mint Garlic improves growth and flavor. Mint attracts beneficial insects. Broccoli Aromatic plants, dill, celery, chamomile, sage, peppermint, rosemary, potatoes, beets, onion Aromatic plants deter cabbage aphids, cabbage worms, flea beetles. Celery, onions, and potatoes improve broccoli's flavor. Brussels Sprouts Aromatic plants, celery, dill, chamomile, sage, mint, rosemary, hyssop, thyme, wormwood, onions, potatoes Aromatic plants deter cabbage worm, cabbage aphids, cabbage whitefly. Cabbage Aromatic plants, celery, dill, chamomile, sage, mint, rosemary, hyssop, thyme, wormwood, onions, potatoes Aromatic plants deter cabbage worm. Sage repels cabbage flies, cabbage looper, cabbage maggot. Chamomile and dill improve growth and flavor of cabbage. Carrots Chives, onions, leeks, parsley, aromatic plants, rosemary, wormwood, sage Parsley repels carrot fly. Wormwood planted around border repels animals. Chives improve growth and flavor. Cauliflower Celery Deters white cabbage butterfly, cabbage worm. Fruit trees Chives Plant around base of fruit trees to discourage insects from climbing trees. Kale Cabbage, potatoes, aromatic plants Aromatic plants repel cabbage fly, cabbage worms Kohlrabi Onions, leeks, aromatic plants Aromatic plants repel flea beetle, cabbage root fly, aphids Leeks Celery, onions, carrots Celery improves growth and flavor. Leeks repel carrot fly. Lettuce Onions, strawberries, carrots, radishes, aromatic plants Onions and aromatic herbs deter slugs. Onions Cabbage, beets, strawberries, lettuce, chamomile Do not plant with peas or beans. Chamomile improves growth and flavor. Peas Carrots, turnips, radishes, mint Do not plant with onions or garlic. Mint improves health and flavor. Radishes Beets, spinach, kohlrabi, lettuce Lettuce makes radishes more tender. Spinach Strawberries, peas Peas provide shade for spinach. Swiss Chard Beans, cabbage, onions Aromatic plants repel beet leaf miner. Chard grown near companion helps keep moisture in soil. Improves the growth and flavor of cabbage, deters pests. 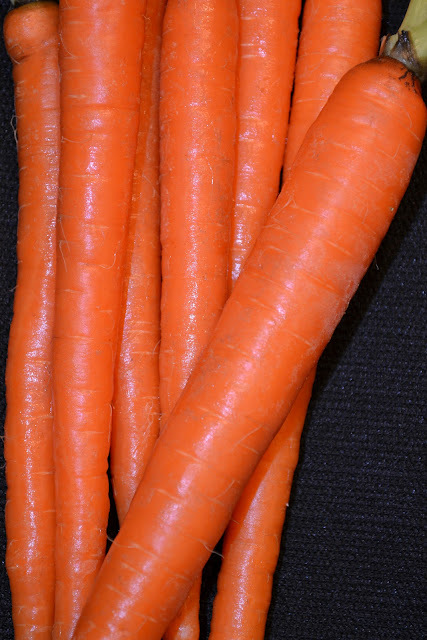 Improves growth and flavor of carrots, deters pests. Prevent borers of fruit trees. Increases yield of grape vines, lures away cabbage butterfly. Bees are attracted to hyssop, but many pests are repelled by it. Improves health and flavor of cabbage, deters white cabbage worm by repelling egg-laying butterflies. Spearmint repels ants and helps deter aphids. Deters bean beetle, cabbage moth, carrot fly. Repels cabbage flies, carrot flies, black flea beetle, cabbage looper, cabbage maggot. Deters cabbage worm, white fly. Repels animals in the garden when used as a border. Repels moths, flea beetles, and cabbageworm butterfly. So, now we're ready. With our companion planting table in hand, we can plan our best fall gardens. And hopefully, we'll spend more time planning delicious dinners than culling cabbage worms.